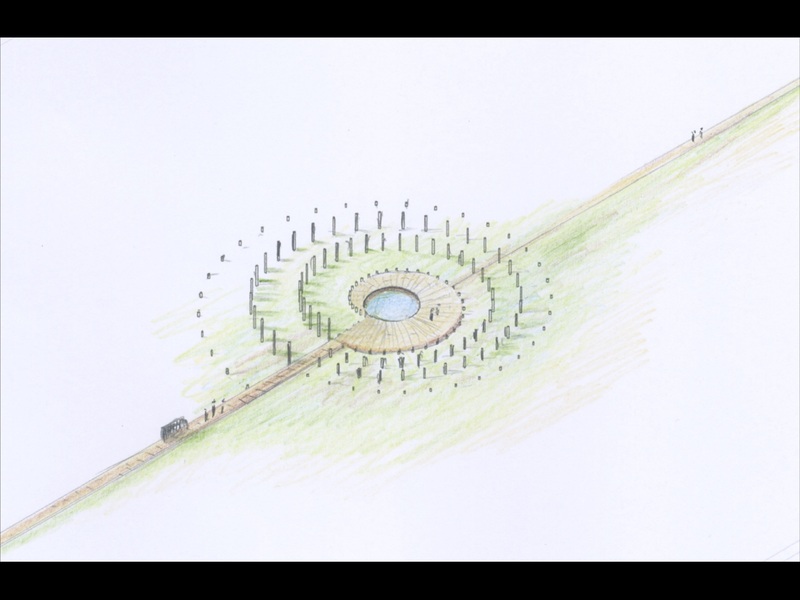 Mounds (terpen) are an important feature of the Frisian landscape. Their long and rich history in the area appeals to the imagination, while they also raise questions when it comes to archeological details and serve as an inspiration for art, culture, and future developments in the area. Various people have dreamed of creating the Terp fan de Takomst (‘Mound of the Future’) for some time: a new mound outside the dikes, for research and educational purposes, as a model for the original design, to experiment with new and old brackish crops, and as a place for reflection and contemplation. 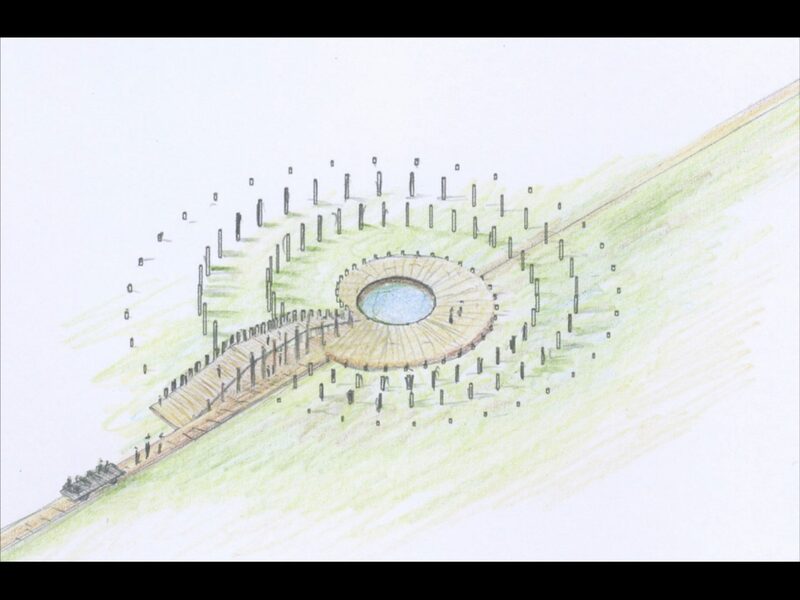 The village of Blije has taken the initiative to actually build its own Terp fan de Takomst (‘Mound of the Future’). The village, which feels closely connected with the mudflats, states in a report in which it outlines its vision, “We want to face the Wadden Sea again as we live our everyday lives.” A central element of their plan is to build a new mound outside the dike, at the level of Blije village. 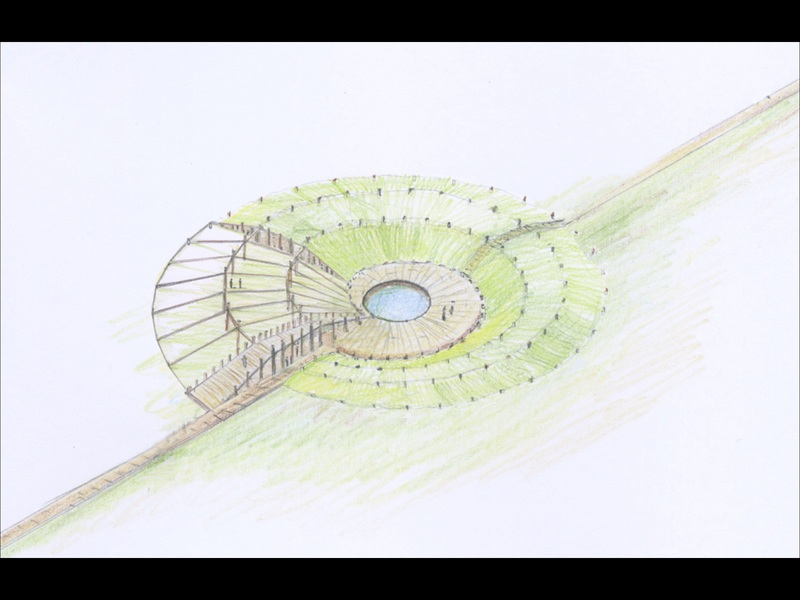 Their objective is to create a new place of inspiration, to attract people to the village and the Wadden coast, to share ancient tales with one another, and to create new narratives. A partnership of Dorpsbelang Blije, It Fryske Gea, the Terpencentrum (a scientific research body part of the Groningen Institute of Archaeology, which is affiliated to Groningen University), Province of Fryslan and Sense of Place, has established a project group with the objective of turning this dream into a reality. Created by the Observatorium artists collective, the design for the Terp fan de Takomst project is conceived as an ‘artwork’ which appeals to the imagination of every stage of the development process, and serves as a destination for residents and visitors at each of these stages: a ‘Growing Mound’. Mounds range in size from narrow (5 metres) and low (1 metre) to wide and high (up to 10 metres). 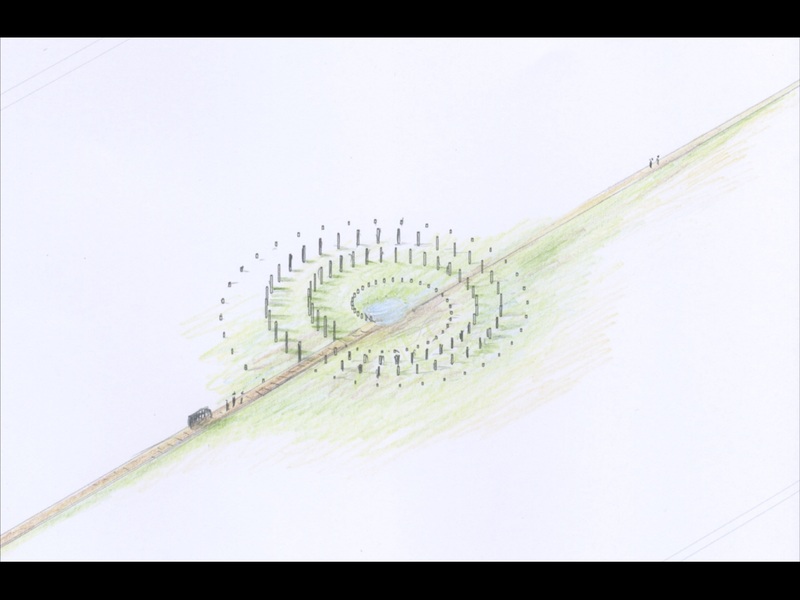 Depending on their size, mounds can support anything from one house to a small hamlet to a church, and through the Groeiende Terp (‘Growing Mound’) the Observatorium artist collective wants to visualise and make people experience this process of stacking different layers on top of each other. Designers are carefully outlining the future shape of the Mound using piles and a spiral pattern, starting at the bottom and ending at the top. The various stages are arranged horizontally, rather than vertically, thereby ensuring that each stage in the growth is and remains visible. 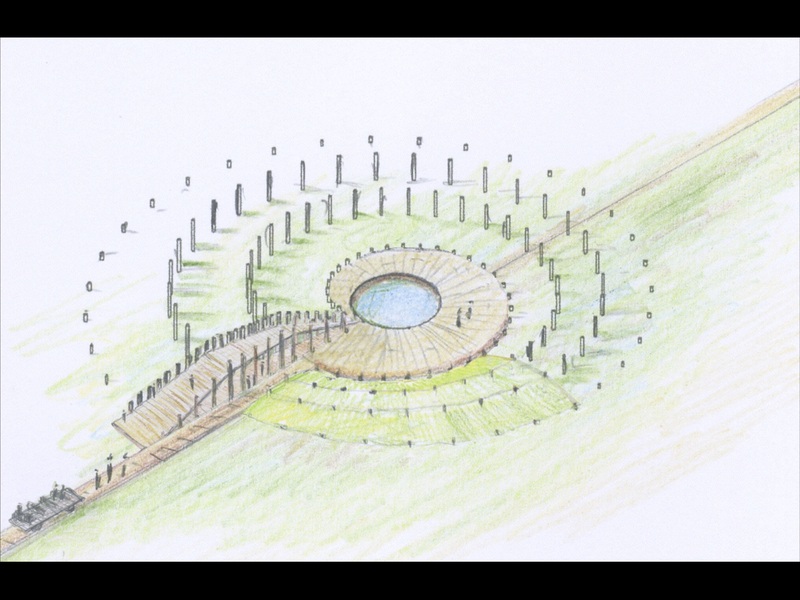 One of the mounds will support a house and includes a core platform; a knoll will be added complete with a wall, and the drawing of the piles will ultimately result in a fully developed mound. The beginning is marked by a platform and the end by a wall (as a cross-section) of wood piles at the eventual height. 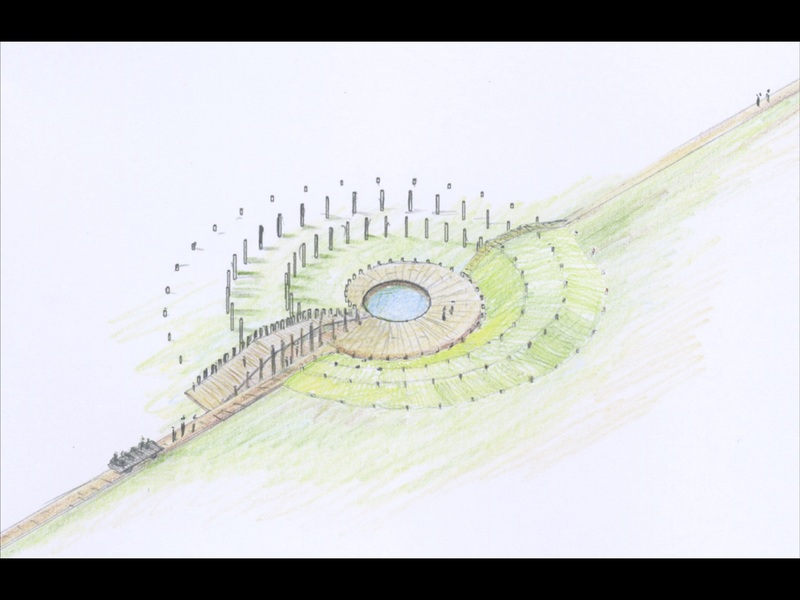 The clay will be supplied over the years, until the vision has been fully realised and the mound is exactly as it should be.